A stylish apron, embroidered with Paxton & Whitfield, and made of 100% cotton. 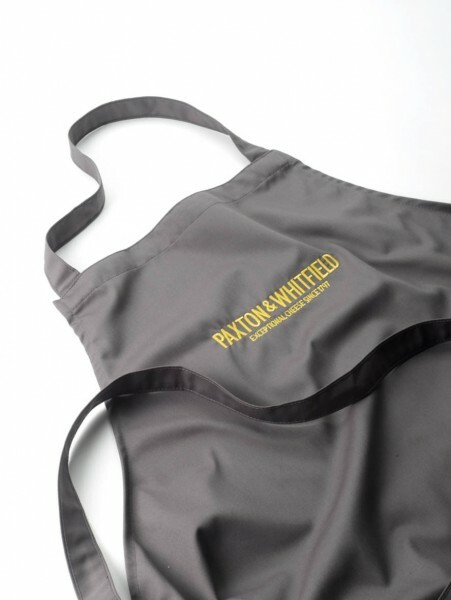 This simple and stylish apron, in Paxton & Whitfield grey, features our embroidered logo and is made of 100% cotton. An inspired gift idea. The apron is approximately 90cm in length.